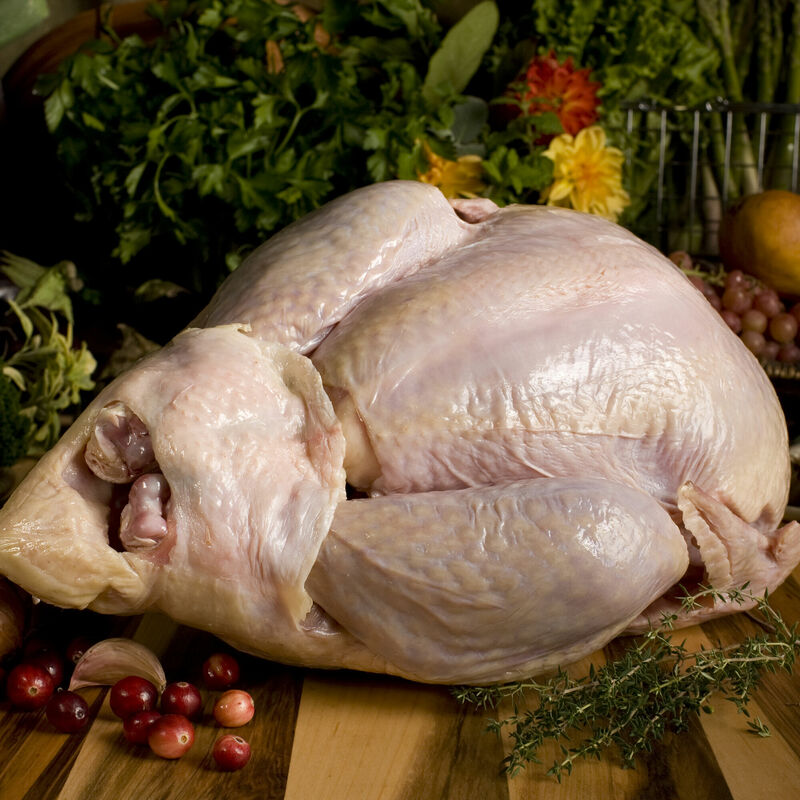 Our heritage breed turkeys come from authentic Narragansett and Bourbon Red breeds – not hybrids. These turkeys are free-range and humanely raised on small farms, fed a wholesome diet of non-GMO corn and soy, free from antibiotics, growth hormones or animal by-products and are air-chilled and hand-processed to ensure you receive the highest quality and best-tasting heritage turkey possible. Known for their heavy breasts and dark, richly-flavored meat, our heritage turkeys are seasonal favorites for Thanksgiving and the holidays. *Servings based on 1.5 pounds per person. D'Artagnan heritage turkeys are from Narragansett and Bourbon Red stock, which are two original, slow-growing breeds that have been largely replaced by Broad-breasted White turkeys in modern agriculture. Heritage turkey breeds were developed for specific traits over generations and selected as the “Standard of Perfection” by the American Poultry Association. Our turkey breeds are recognized by the American Livestock Breeds Conservancy as genuine heritage breeds. In order to qualify as heritage breeds, the birds must naturally mate, and have a long, productive lifespan and a slow growth rate. Our heritage turkeys can even fly. These old breeds cannot be pushed to grow quickly the way factory-farmed turkeys are. Our heritage turkeys are grain-fed with non-GMO corn and soy. No antibiotics or hormones are ever used, and each bird is processed by hand to ensure quality.